Finance is often seen as a ‘black art’. Many people don’t understand it, and feel uneasy with money. It doesn’t help that accountants aren’t always the best communicators, and use lots of jargon. I can say that, as I am an accountant! The simple truth is that finance training can help you make more money. In other words, we don’t just want to sell things, we want to sell them profitably. And we want to be paid promptly when we make a sale. People don’t understand how finance works, so they do the wrong things. People know how finance works, but they don’t know how to pull the levers that bring financial success. They fail to effectively communicate the right things to the right people. If we’re going to improve the financial performance of our organisation, we need to diagnose whether we have a financial problem, and what that problem is. I’ve got various questions you can ask to help in that diagnosis. Then we need to provide some solutions. Clearly, training can be part of the solution. Does a 10% discount mean 10% less profit? Here’s one to ask your sales people. In my experience the answer is often ‘Yes’. But think about it. Let’s say we sell things for £100 each, and we sell 100 of them every week. That’s £10,000 of sales every week. We’ve worked out that if we give a 10% discount (selling at £90), we’ll sell 25% more (125 every week). So sales increase to £11,250 per week – which must be good! But what happens to profit? We buy the goods in for £80 each, so we make £20 profit on every sale when we sell at £100. That’s £2,000 profit every week. When we discount the price to £90, we’re only making £10 on every sale. Even though we’re selling more (125), the profit falls to £1,250. So we can draw two conclusions. First, in this example a 10% discount is 50% less profit on every sale, not 10% less profit! Second, although 10% discount gives 25% more sales, that’s nothing like enough. To keep the same profit of £2,000/week on a sales price of £90 (that’s only £10 profit on each item, remember), we’d need to sell 200 units per week, not 125. That means a 10% discount would have to lead to sales doubling, just to keep the same profit! So if your sales people answered ‘Yes’ to this question, how often are they giving discounts that increase sales, but damage your profit? Remember, we don’t want to make sales, we want to make a profit from those sales. What excuses do your customers give for late payment? Most businesses that fail are profitable. They fail because of cash flow problems. And when they fail, they’re usually owed huge amounts of money by their customers. They wouldn’t have failed if their customers were paying on time. So late payment by customers is a very serious problem, one that could kill your business. Ask this question to people in Accounts Receivable or Credit Control – they’re the ones who chase customers for payment. Get a list of their various answers. Then go through the answers with a highlighter, and identify where we’ve shot ourselves in the foot. There’ll be many, many more answers that come within the category of shooting ourselves in the foot! If we can change how we do things, so that we don’t give customers ready-made excuses to pay late, we’ll see our cash flow improve. How many customers pay late? Ask Finance for a copy of the Aged Debtors list, and ask them to age it (if they can) by how long overdue the debtors are. You’ll get a list of all your customers, with the outstanding amounts each one owes. For each customer it will show how much of the debt is overdue by a month; 2 months; 3 months; etc. This will give you an idea of how widespread the problem of late payment is. It will tell you how many customers pay late, and how late they pay. To help put the report into context, think about the effect on your personal finances if your salary was paid a month late. For many of us, that would be devastating. It’s equally devastating for your business! Who are your 5 best customers? Ask this question widely: directors; sales people; production people; etc. Or ask what your 5 best products are. Most people will quickly tell you the 5 biggest customers. But we don’t want to make sales, we want to make a profit. So follow the question up with ‘Which 5 customers (or products) do we make most profit from?’ People will probably struggle with this one. And we want customers who pay on time. So ask ‘Which 5 customers pay the slowest, and give us the biggest cashflow headaches?’ Again, people will probably struggle with this one. The answers to these questions often highlight the fact that our people understand sales, but don’t understand the importance of being profitable, and getting paid on time. There are two main ways training can help. First, it enables your people understand why profit and cash flow are important, and what levers they can pull to improve these key elements of success. Does your sales training cover the importance of making profitable sales to customers who pay promptly? Secondly – and more importantly – it enables your people be more effective in pulling the levers of financial success. We can help improve negotiation skills – most results are achieved through negotiation. Clear communication is often a key to success – we can help there. Better management skills can help focus your teams more clearly to achieve better financial results. Running effective meetings that achieve the desired results is part of the solution. So ask these questions around your business, and see what the answers are. If it helps, talk to us – we’ll help provide some solutions. Thanks to Alex Hewlett for writing this for us. Alex Hewlett (MITOL) is a Chartered Accountant who has specialised in helping the people outside the Finance department understand how they can help their business achieve financial success. His training is simple, enjoyable, and practical. 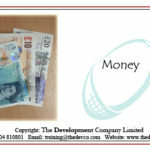 Alex obtained his training qualification with The Development Company, and he delivers Finance for the Non-Financial Manager courses on our behalf. 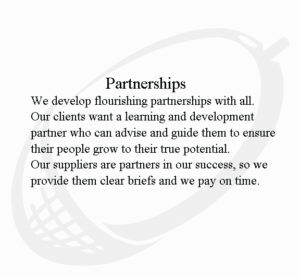 Contact us if you’d like your Managers to be able to make informed decisions to improve profitability.